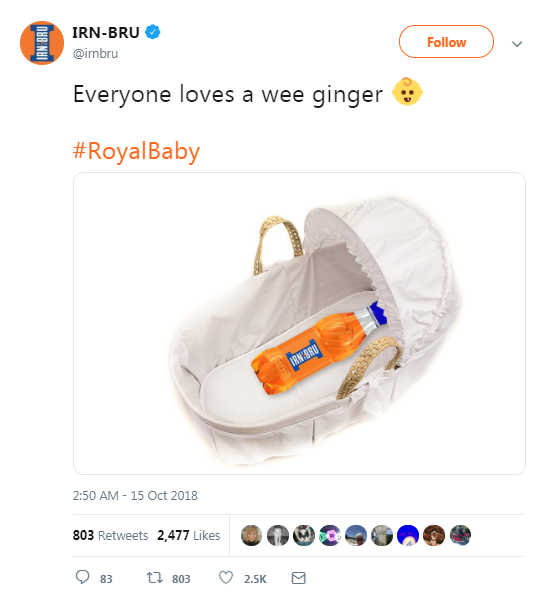 If news that Prince Harry and Meghan Markle are now expecting a child passed you by this week fear not— Irn Bru’s reaction was good enough to compensate. 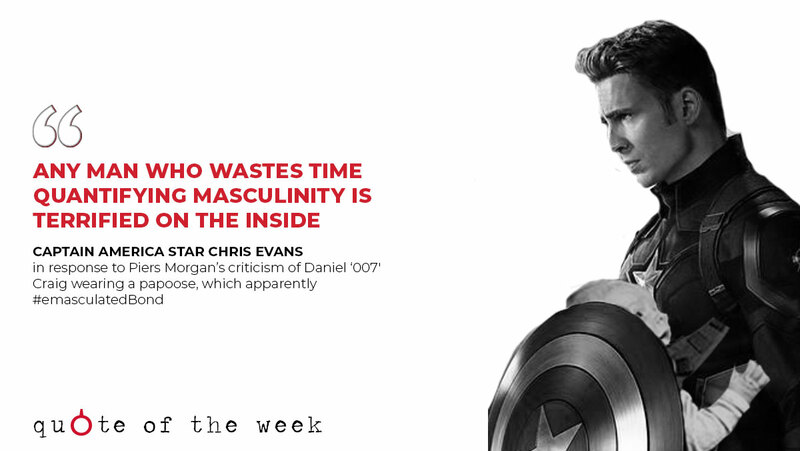 Nothing more to be said than this is how to do reactive, piggy-back social media marketing quickly and properly. It was with a heavy heart that we learnt about the financial troubles at one of Manchester’s biggest media brands, UNILAD, but we had hoped the valuable platform would be saved by a worthy investor. In the end the channel’s biggest rival, Lad Bible, has taken ownership— it remains to be seen whether this is good or bad, but fears surrounding plurality, mothballing, and redundancies are now high, which doesn’t sound great. Amazon is creating 1,000 ‘highly skilled’ tech jobs in the UK, with new teams in Manchester, Edinburgh and Cambridge. Brands that publish ‘low quality’ ads to Facebook— such as those including clickbait or misleading content— will now be penalised by the network. Donald Trump has praised Montana congressman Greg Gianforte for performing a ‘body slam’ on a Guardian journalist back in May, while refusing to condemn the torture and killing of reporter Jamal Khashoggi, allegedly at the hands of the Saudi Arabian government.